Let loose and laugh it up at Las Vegas Live Comedy Club inside Miracle Mile shops at Planet Hollywood Resort & Casino featuring top stand-up comedians from across the country. Every night of the week, you'll see hilarious live acts by comedians who have appeared on television shows on HBO, Showtime and Comedy Central. This 1.5-hour show is a relaxing break from shopping or gambling or an excellent way to start off a night of festivities. Runs 9pm nightly at V Theater. 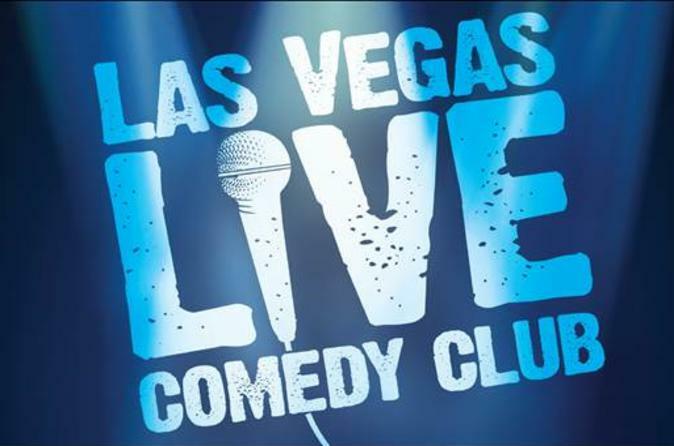 Head to the V Theater at Planet Hollywood Resort and Casino at 9pm any night of the week to check out some of the best comedians in the country at Las Vegas Live Comedy Club. Opened in 2004, the V Theater now hosts more shows than any other single venue in Las Vegas. Opt for VIP seating, located in the first three rows, for better views of the acts. Prepare for side-splitting laughs as you watch stand-up by top-caliber male and female comedians who have appeared on HBO, Showtime and Comedy Central. The eclectic lineup features established and upcoming performers hailing from New York, Los Angeles, Chicago, Boston and Las Vegas. Alycia Cooper, Ben Morison and Jason Harris are some of the regulars at Las Vegas Live Comedy Club. Drinks are available for purchase at this show that's a super way to break the ice or kick off a memorable night in Vegas. Special Offer - Book and save 52% compared to the local operator's price! - Book Now!